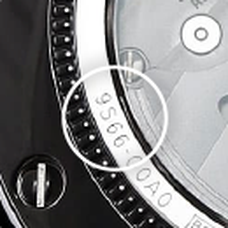 Check the case back of your watch to find the caliber code inscribed on it, and read the instructions pertaining to your watch caliber code. It is a 4-digit number to the left of the hyphen mark. Adobe Acrobat Reader is required to view these documents. Right click to download Adobe Acrobat Reader. AIf you have problems viewing the file, right click the link to your instruction booklet (control-click on a Mac), select “Save link as,” and save to your computer. You can then open the file from your computer.